At Voodoo SMS, we only use direct connect routes (also known as ‘white routes’). 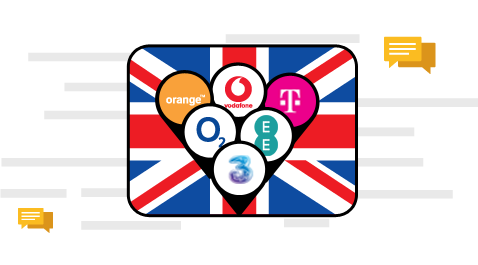 That means your bulk text messages will only ever be sent through the UK mobile networks themselves. And we have the certificates to prove that our routes are direct - how many of our larger competitors would happily show you their direct connect certification? 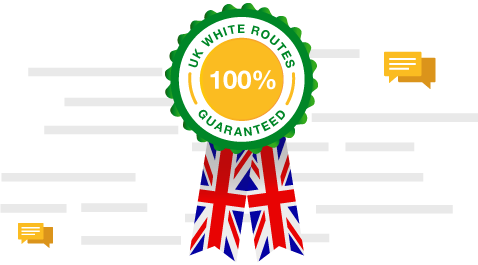 And we are happy to give you a money back guarantee that we only use direct routes for ALL of our traffic - no-one else in the UK offers that guarantee! You may encounter companies offering you super-low SMS pricing. The lower the pricing, the more chances that are peddling a ‘grey route’. What is a ‘grey’ route? It is an SMS route that utilises arrangements outside of the licensed international telecoms companies. It's a murky part of the industry, offering tempting deals on SMS pricing, often masquerading as a genuine direct connect route. The golden rule in SMS - as in life generally - is that you only get what you pay for. The interconnect fee between UK networks is around 1.5p, a cursory knowledge of the industry suggests anything around this price will almost certainly be using international routing. And if it's around 1p, it may not even be entirely legal. Why shouldn’t I use use grey routes? A grey route will send your traffic via international routing, so it could be going via Mexico, India, Russia, Malaysia… and getting clogged up on a congested connection. You will see significantly lower delivery rates (up to 50% lower), meaning your message is received by far less of your contacts - a false economy you’ll agree. Are all cheap routes ‘grey’? So how can Voodoo SMS use only direct connect routes, and still be so cheap? So how can we use only the more expensive direct connect routes and yet still be the cheapest bulk SMS provider in the UK? This one is easy to answer. We don’t spend money on fancy London offices like our competitors… It’s sunny Huddersfield for us. If you have been offered a lower price by a competitor, and it is a direct connect route - then we will match it. Please contact our team on +44 (0)1484 599 311 to discuss this. As we do not send any SMS via Grey routes, we are unable to price match these quotes.